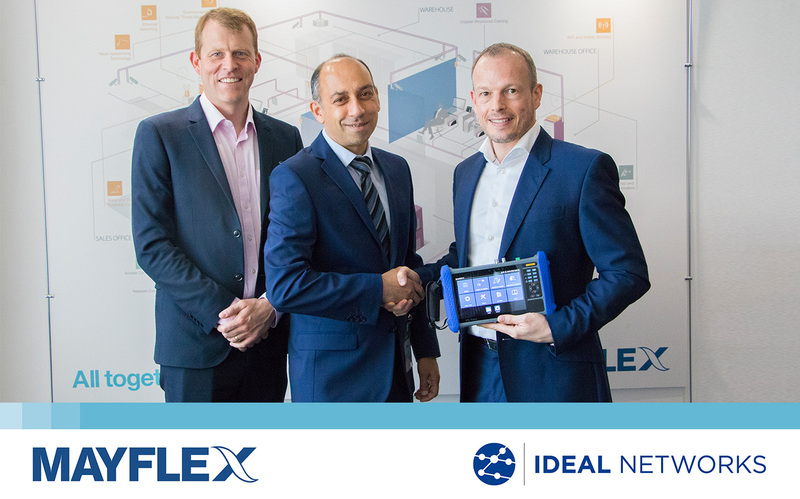 Mayflex, the distributor of Converged IP Solutions, has formed an agreement with IDEAL Networks to distribute several products from their cable certification and security portfolio. IDEAL Networks is part of IDEAL INDUSTRIES, INC., a family run company established in 1916, and provides solutions for testing and documenting data cable, networks and more. Mayflex will be placing an emphasis on the IDEAL Networks range of security testers including the newly launched SecuriTEST IP. This product is an all-in-one CCTV tester that can connect, power, configure and document which helps to increase productivity from start to finish. SecuriTEST IP combines the functionally of a video monitor, cable tester, PoE injector and laptop in one device reducing equipment investment.